This puffer jacket brings a distinctly luxe, Italian point of view to the utilitarian winter essential. 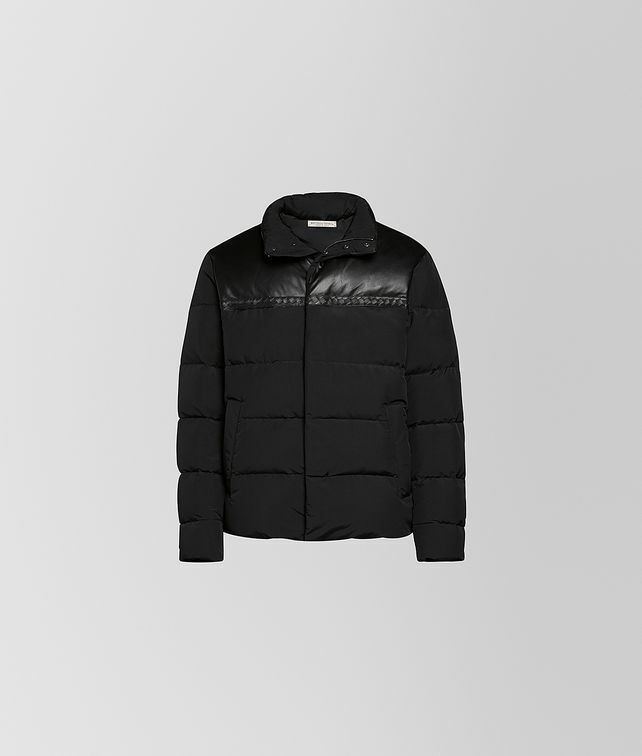 Made of wool nylon and accented with a panel of nappa leather, the quilted piece features subtle intrecciato details and is made with the high level of craftsmanship that defines Bottega Veneta. Finished with snap buttons and two slash pockets.